Facebook Timeline is coming to fan pages and after March 30th everyone will be in the same boat. The landing pages that were once a favorite of small business will be replaced with the cover page. If you’ve read a Facebook Timeline tutorial, you’ll know that businesses are resorting to Facebook page apps to engage customers on their own terms. The features that will give developers the most control over their marketing will be 3rd party page apps. Since apps have taken a more high profile role at the top of Facebook pages under the new format, developers are scrambling to find the best Facebook page apps for the brands they represent. Construct user paths with the tabs that are displayed to regain some control of your marketing. There are many advantages that Facebook Timeline will offer your business- large or small. In fact, All Facebook (The Unofficial Facebook Resource) says, “Facebook Timeline Is The Best Thing For Brands Since Pinterest.” It’s great for branding and it allows you to tell the history of your business. Visitors to your page can click on any month and year to get a snapshot of the period that you have the ability to manipulate. They can find out when you were founded and uncover other milestones in your business history; you now have the ability to alter and implant memories. We are on the brink of Facebook inception. 1. BranchOut: This app is much like a resume community but it’s good for anyone- even if you’re not currently looking for a job. It allows you to connect and network with other people in your business/industry, put out ads if you are hiring, or advertise your services to others who may be seeking them. It allows you to connect outside of your current circle on Facebook and uses keywords to help match people in similar niches. 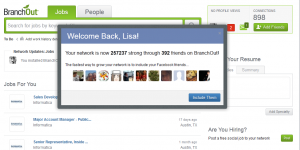 Branch Out is a professional networking community similar to LinkedIn, with the added benefit of being heavily integrated with Facebook. 2. Pinterest: Pinterest is the rage right now and it’s easier than ever before to share your Pinterest boards when you use a Facebook Timeline app. It’s quick and easy to set up and people can follow you, your boards and your pins directly from Facebook. 3. iFrameWrapper: Popularly used before the new Timeline for fan pages feature, iFrameWrapper will continue to work with the new layout. The only difference is that your new pages will only show under the tabs. This app allows you to add new pages to your FB Timeline with ease and without any technical coding knowledge. It’s a must-have when you want to go above and beyond with your Timeline. 4. NutshellMail: Keeping up with all of your page activity is very important if you want to properly market your page and your business through your page. However, Facebook notifications can be buggy and it can be time consuming to constantly check your page. This app sends you an email log/activity summary of your page activity so you are sure to not miss a thing. 5. Livestream: Livestream is the way to go when you want to share a live event on Facebook. (Facebook used it themselves for the f8 conference). With this app, you can share live news, updates and more about your business. This is a great way to launch and new site or feature, hold a contest or just to speak with your audience. 6. SurveyMonkey: Polls and surveys are a great way to learn about your fans and it’s a good way to get the interaction going. No matter what business you are in or what the main topic of your page is, you can create many wonderful polls and surveys using this app. 7. RSS Graffiti: This tool allows you to use RSS feeds to generate content on your page. It can also help you handle multiple apps from one centralized hub. This is a great tool for anyone who has multiple pages to manage. Use it smartly and without spamming your walls and it will benefit you when marketing via Facebook. 8. TABMAKER Welcome: Use TABMAKER Welcome to create your individual Facebook Page. You don’t need any special IT skills and in just a few clicks, you can install a Welcome Page for your visitors. It also allows you to manage special or exclusive content, sometimes called fan gating. 9. YouTube Gallery for Facebook Pages: Do you have a YouTube account? You can market this and your brand using Facebook when you set up this app to display your YouTube gallery for free under a Facebook tab. 10. TopTab App: This is an excellent app for launching Facebook contests. Contests are one of the most popular ways to market via Facebook. People love free stuff and when you give something away for free, you will gain the attention of the visitors and also attract more new visitors to your page. This app makes it easier to manage. This is essentially a no-tech-skills-required page builder. While it’s not yet available, I think this is one app that Facebook page owners will want to keep an eye out on. You can input your email on their placeholder page to subscribe to updates on the progress. While there are many, many apps available to help make managing and marketing your Facebook Timeline a little easier, these are my current favorites. If you’re not already using them, today is a great day to check them out and see what they can do for you. 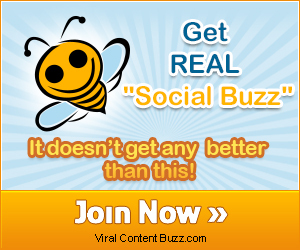 Soar to new business heights when you take your FB fanpage to new levels. Minimal tech skills are required and you can manage your page like a pro. I don’t like Branch Out, period. Great article — thank you for the information! Lisa, that is very valuable information. Thanks for sharing it. Very interesting and useful !! Thanks for sharing !! Nutshellmail? That sounds cool! Thanks for the tips! A lot of people feel that way so you are not alone. Hopefully we can keep providing information here that will make it a little easier when the new format is pushed out for everyone. You know your business…..No doubt….. So much great stuff in here Lisa. Thank you so much! Awesome, Thanks for that Lisa I appreciate you sharing. Lisa, I tried accessing these apps through my business page, but it says I have to use my personal page to use the apps. It’s a new business page with only a few subscribers. Could that be why? Nevermind! I figured it out. The apps allow you to choose which page you want them on once you install them from your personal page. Thanks for this list. The apps that I hadn’t heard of yet look awesome! Facebook Timeline Gives a Stylish look to Our Facebook Profile Page! And I like the Covers which are Developed by http://www.moderntimelinecovers.com. Great list – different from many of the others top 10 lists – great to see – NutshellMail sounds great…off to try it now. Thanks. Great to read this post – gave me some ideas! What page app do you recommend for a calendar of events on a Facebook page? 12 years experience in social media? Did you invent the internet too? 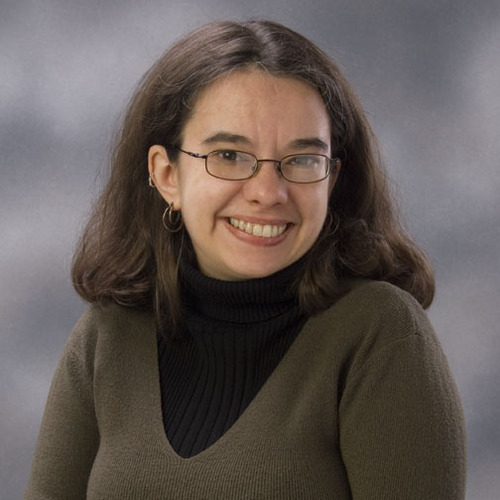 Lisa has been doing copy work and freelance writing for 12 years.